What does love do to your body? Love may give us butterflies in our stomach, but do we know about the other effects it can have on our body? People need someone who can take care of them and stand by them. Some prefer a freer relationship, some need their space, while some people want to be with their partners all the time. Despite our preferences and expectations, there is one thing all of us want in a relationship: Love. Everyone wants to be loved and find their better half who they can spend their lives with. However, have you ever thought about the effects love has on one's mind and body? Surely, it can have a great influence on our psychology. If we have a nice, stable and healthy relationship, it will give us peace of mind. On the other hand, a problematic relationship would probably hurt. Let's take a deeper look at the effects of love on our body. On Valentine's Day, it is time to learn what this magical power can do to our body. Love, which appears when oxytocin, dopamine, serotonin, endorphins and adrenaline hormones are secreted from the brain, shows the clearest effect, not surprisingly, on the heart. Cardiologist Dr. Ahmet Karabulut said that the feeling of distress and excitement in the chest, palpitations and meaningless restlessness show that love has taken over a person's body. No, you did not hear wrong. Love lowers the blood pressure. Scientific studies show that a 10-minute conversation using "love language" after a warm embrace reduces blood pressure. Behind this effect is oxytocin, the relaxation hormone in the body. Stable blood pressure can also decrease bodily stress, increase the quality of sleep, personal care and nutrition. It may sound strange but love is good for cholesterol. 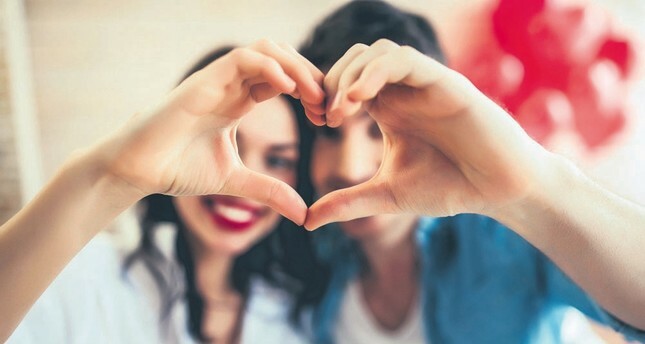 Research showed that couples who live happily together have lower cholesterol levels in parallel with the reduction of stress hormones in the body. The fact that happy couples have better nutritional habits also positively affects cholesterol balance. The continuation rate of playing sports regularly is higher in couples than singles. In this way, their fat levels are also significantly reduced. Did you know that people with happy relationships live longer than those who live alone? It is observed that depression and an unhealthy diet are more frequent and smoking and alcohol consumption are more common among individuals living alone. Scientific studies show that the life span of women living alone decreases two years on average while this rate decreases six to seven years in men. Hormones such as dopamine, endorphins and serotonin, which are secreted by the brain when people fall in love, create an antidepressant effect on us while giving happiness. Thus, heart vessels are protected from the harmful effects of depression. When love is mentioned, only emotional intimacy between two people should not be thought of alone. Every type of love, even including the love of animals, nature and Sufi love, is a type of love and has positive effects on heart health. That is, love should not be a burden for people. On the contrary, it should positively affect our lives. This is why we all need to maintain a heart and brain balance in love. Love reduces the risk of heart attacks in the long run. While sleep quality in couples living in a happy and peaceful relationship increases, the risk of heart attack seems to decrease. Thanks to love, shown as the antidote to stress, cortisol, the stress hormone in the body, decreases and the sugar and cholesterol cycle is balanced. The vessels are protected, as well. "With oxytocin, the most important element of the love potion, blood pressure is improved, the body's immune system becomes stronger and the inflammatory state in the veins decreases," added Dr. Karabulut. Dr. Karabulut said that love pangs should not be underestimated. Just like love can affect the heart positively, the unwilling end of love can have negative impacts. This leads to "broken heart" disease. "The sudden increase in triggering hormones in the body may stun the heart and cause heart failure. This causes a disease that imitates heart attack and features chest pain and shortness of breath. Considering that there is a double to fivefold increase of the risk of a heart attack in the first month of heartbreak, people with a broken heart should not hesitate to take a doctor's support," he noted. As we have all read and seen love can have positive and negative effects. In order to see these positive effects, we all need to express our feelings. Love cannot be just for one person, it is mutual. For instance, platonic love can lead to health problems, according to Dr. Karabulut. Therefore, we need to share what we have inside, at least for the sake of our health.